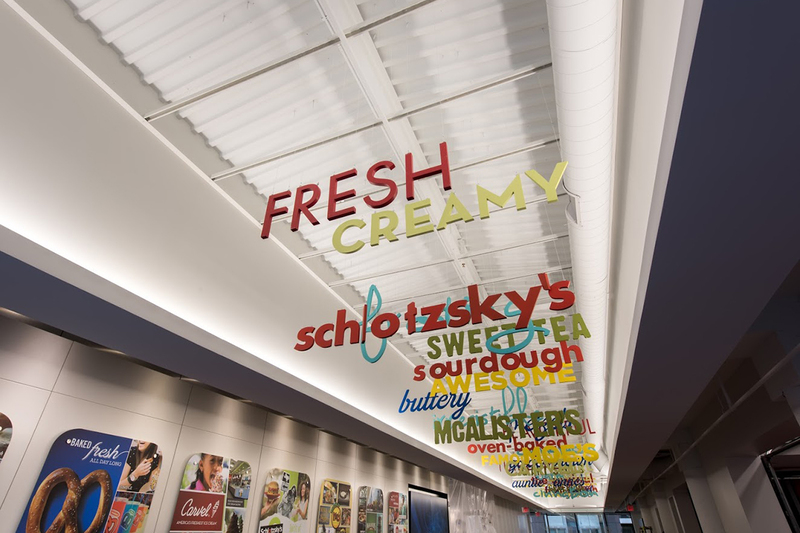 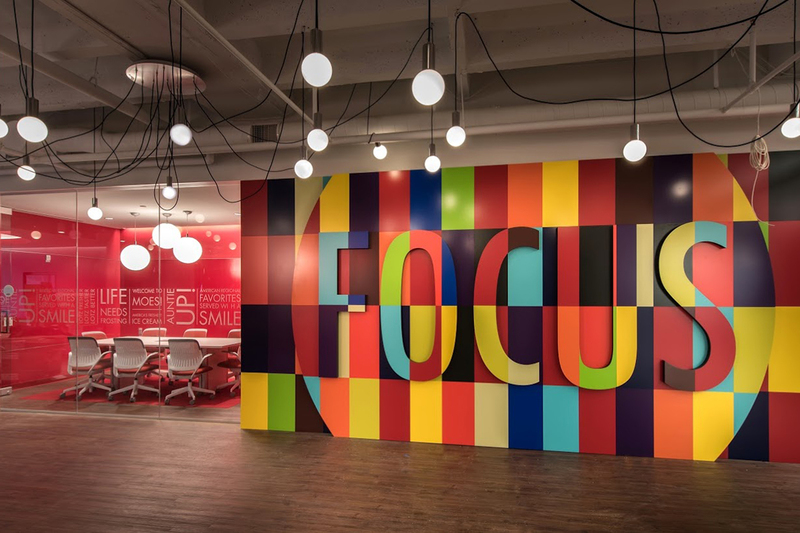 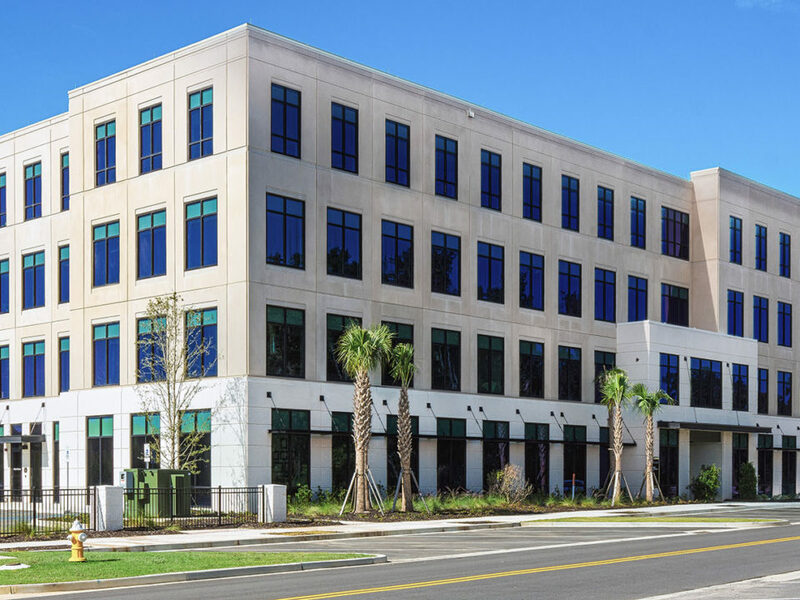 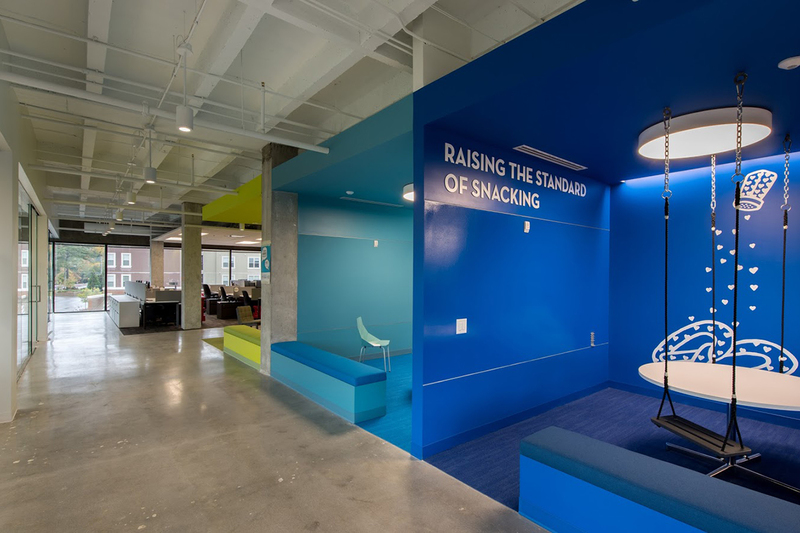 The FOCUS Brands project is a 3-story office build out with a full test kitchen. 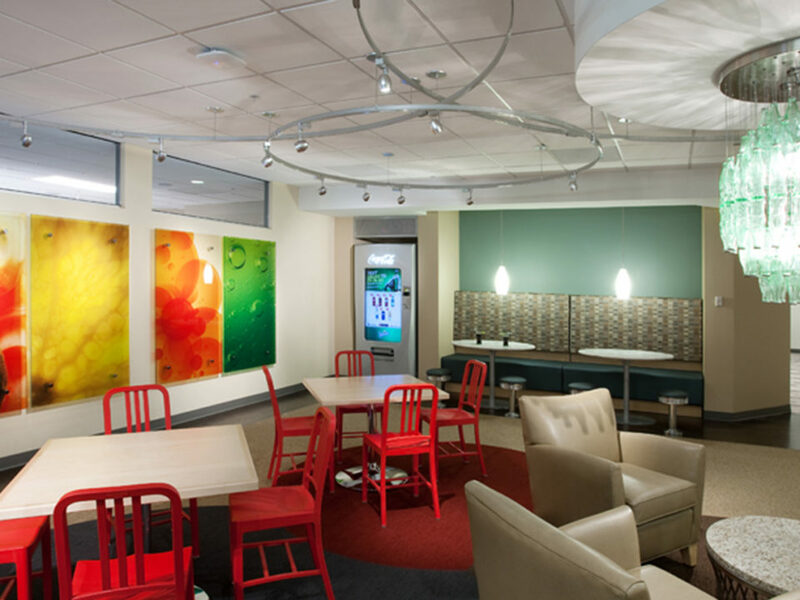 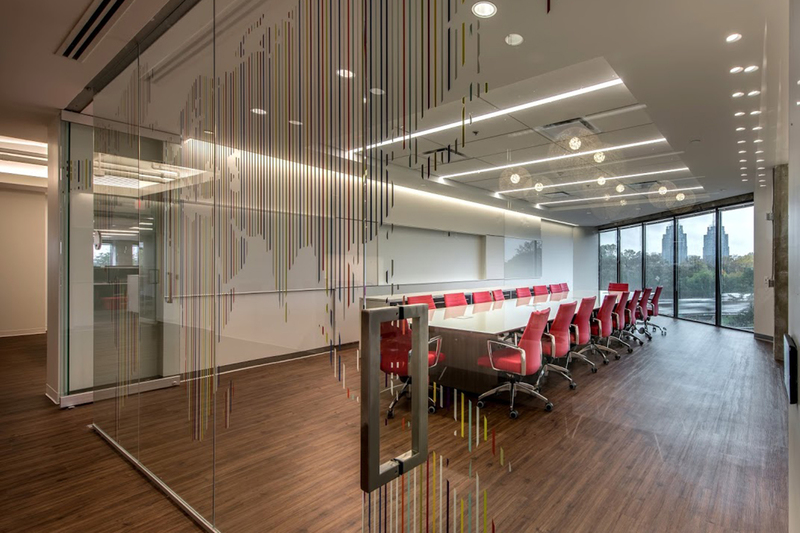 The build out includes high end finishes such as mosaic tile, glass storefronts, 2 different flooring types, writable paint surfaces, felt, upholstered, & fabric wrapped panels. 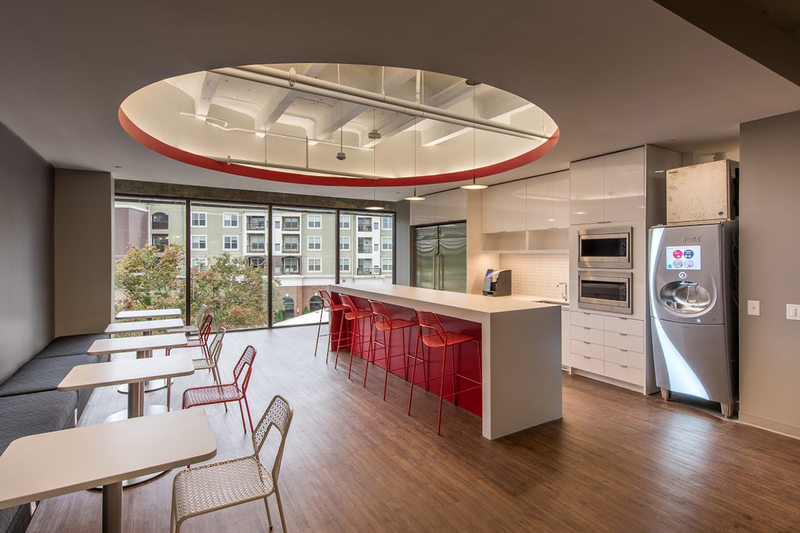 The space is a modern, open layout with exposed ceilings over workspace areas.